Google has sold its stake in satellite Internet access provider O3b Networks to co-investor SES. O3b's goal is to deliver Internet access to the "other 3 billion" who don't yet have it. The company started life in 2007, and soon found funding from Google, SES and cable operator Liberty Global, among others. The company launched its first four satellites in June 2013, with eight more joining them in medium earth orbit in 2014. O3b's customers now include island telecommunications operators and at least one cruise ship operator. Satellite operator SES took a stake in O3b in 2009, negotiating the right to ultimately take control of the whole company. It exercised that right on Friday, agreeing to pay US$730 million to increase its stake from 49.1 percent to 100 percent. 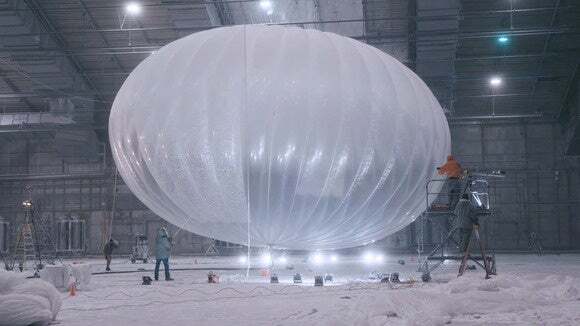 Google's parent company Alphabet still has an interest in extending Internet access to more of the world's population through Project Loon. It plans to launch thousands of balloons, each remaining aloft for three months or more, to deliver Internet access from within, rather than above, the earth's atmosphere. Facebook, meanwhile, is counting on solar-powered drones to bring Internet access to remote and underserved areas.